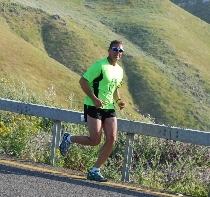 The Hermon Eilat Race is an idea that was initiated and developed by the Aviv Runners group. Aviv Runners is an informal group of 11 friends aged 39-56 that like running together. All members of the group are professional, experienced, long-distance runners. The total distance of the Hermon Eilat Race is 680km, and each runner in this race will run a cumulative distance of about 80 km in 8 different sections of on average 10 km each. The time between each section could be up to 9 hours, and all together the total race is 68 running hours. Last year the entire race was devoted to the fundraising for the youths of 'Hostel Tiberia’. This year, we chose to add another hostel to the project, ‘Bet Eshel’. The organization and the teams at both hostels work hard on the rehabilitation of delinquent teenagers. This rehabilitation process is a difficult, challenging journey that encounters many problems and is exposed to very high risks. We see a lot of similarities between the teenagers’ rehabilitation process and the Hermon Eilat Race’s journey that we chose to take part in. Like last year, also this year the teenagers from both Hostels will participate in some sections of the Race. Also like last year, our top priority of the Hermon Eilat Race is again to raise funds for continued operations of both hostels. Aviv Runners, together with the ENAV Association, have set a donation target for 2014 of NIS 300,000, and all members are fully committed to reach this goal. The Race’s website www.hermoneilatrace.co.il is fully dedicated this goal. The website continues provides updates about the Race preparations and the important activities of the association—and of course provides the possibility to contribute via various payment methods-Please click here toDonate Now. We hope to turn the Hermon Eilat Race into a recurring annual event—and that we will be able to continue contributing to the youths that are an integral part of the next generation of Israel.